This is the house closest to the fountain and the Café da Videira, and therefore the window it owes its name to is the village’s most indiscreet window. During the day, you can watch as your neighbors head to the fountain, and at night, you can spy on the deer as they roam through the village. 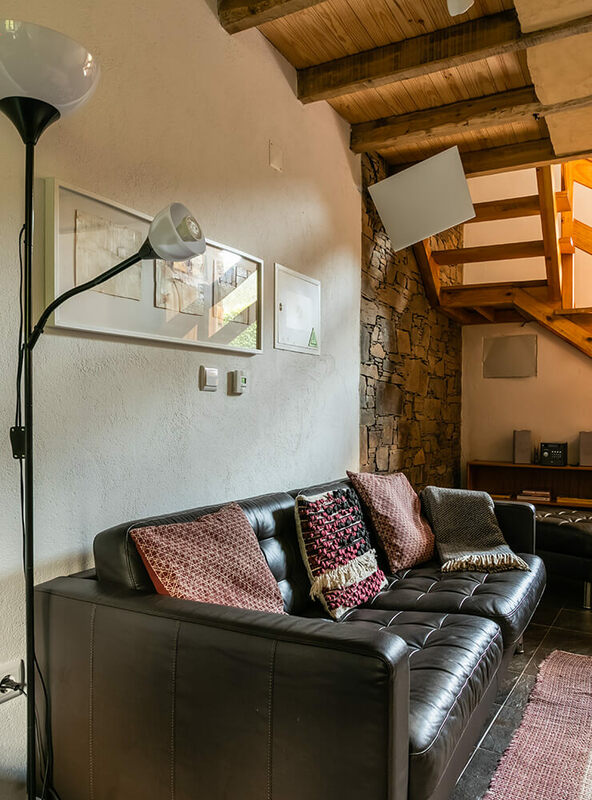 With two floors, the house has a cozy living area with a small sofa bed and two armchairs in front of the wood burner, a dining area and a kitchen on the ground floor. 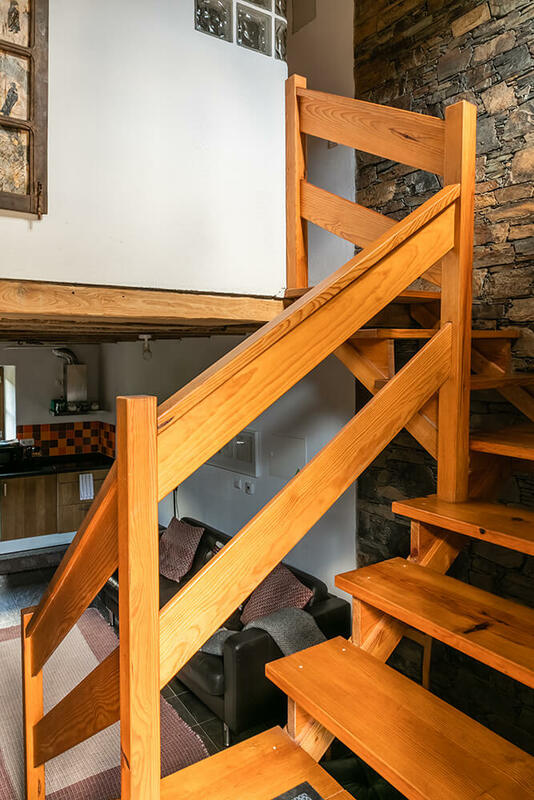 When you climb up the stairs, you will find the bedroom, with a double bed, and the bathroom. 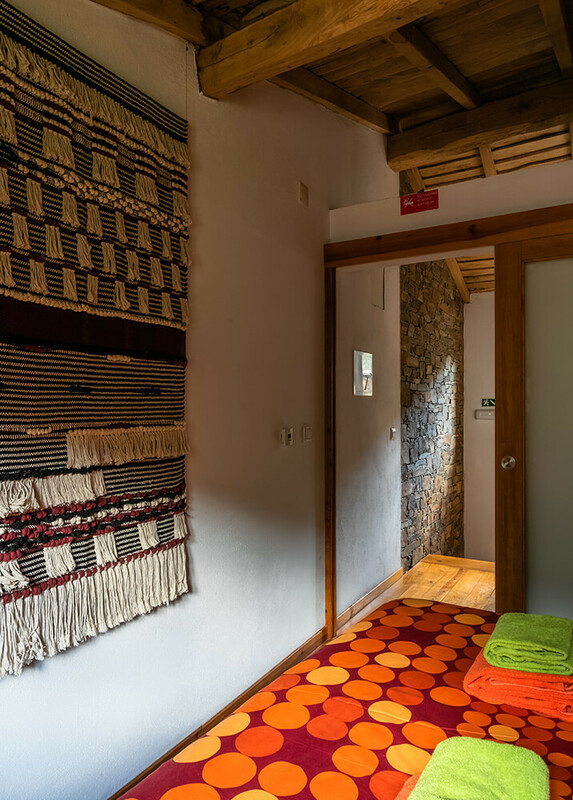 On the walls, you will find old original village windows, intervened upon by artist Diego d’Amico. 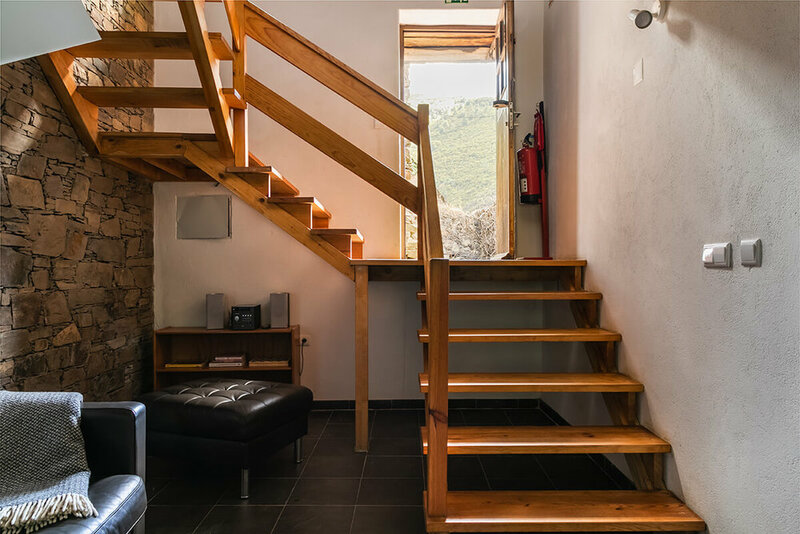 Like all the other houses in Cerdeira, the Casa da Janela has been restored using ecological and regional materials and favoring the use of local contractors. 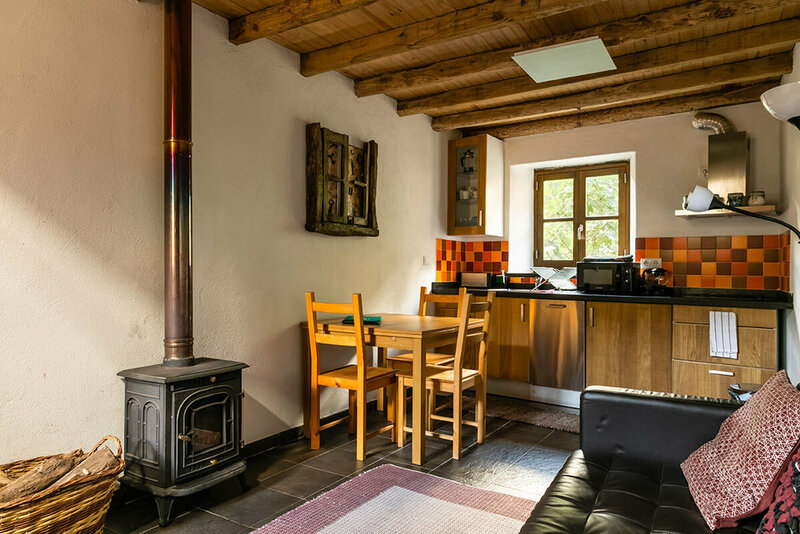 All houses have central heating and offer great comfort, both in winter and summer. 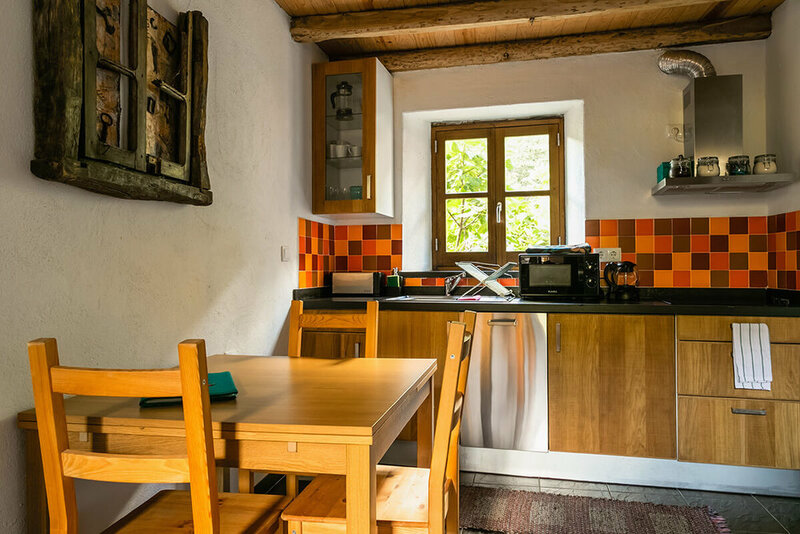 To guarantee that you make the most out of the village’s quietness, we have chosen not to install TVs, radio or internet access in any of the houses. In the kitchen, you will find basic staples such as salt, sugar, spices, olive oil and vinegar. Diego D’Amico, of the Argentinian sculpture studio Cuatro Manos, Dos Cabezas, is a frequent visitor of our yearly festival «Cerdeira à Solta – Art meets Nature» (previously named Elementos à Solta). His great sensibility to work with old objects was the reason why we asked him to work with two old village windows. The results of all his thorough research are two extraordinary, enigmatic panels, windows looking into the village’s past and future.